The following is a list of the ten horses that paid the most to win in the history of Breeders Cup races. The ten horses listed here are from all the Breeders Cup races run from 1984 to 2017. You cannot readily find this information on the Internet as it is not on either the Daily Racing Form or Equibase websites. To get this information I had to go through all of the Breeders Cup race results. The Breeders Cup is an annual series of races for the best horses in horse racing that takes places in late October or early November. The Breeders Cup races are run at a variety of distances on both turf and dirt surfaces, and most of the Breeders Cup races have purses of $1 million or more. The author is a big horse racing fan and is happy to say that he bet on and cashed a huge win ticket on one of the horses on this list. 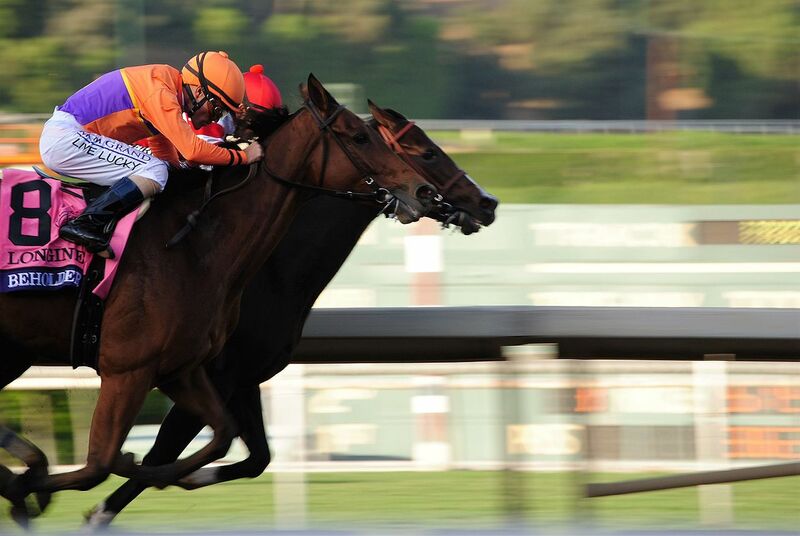 As a big horse racing fan, the Breeders Cup is the highlight of every horse racing year. The average win payout for all of the ten horses on the list is a whopping $126.00. That payout is for just a $2 wager. The record for the highest win price in Breeders Cup history belongs to a horse named Arcangues, who paid a whopping $269.20 for each $2 bet on him to win in the 1993 Breeders Cup Classic. Arcangues was a French bred horse out of the stallion named Sagace. His trainer was Andre Fabre, and he was ridden to victory by jockey Jerry Bailey. The Breeders Cup Classic was worth $1.56 million to Arcangues and his connections, and the win accounted for the lions share of his career earnings of $1.981 million. The second highest win price in a Breeders Cup race came in 2011 when Court Vision won the Breeders Cup Mile race and paid $131.60 for each $2 bet on him. Court Vision was trained by Dale Romans and ridden to victory by Robby Albarado. The 4th highest win price came in 2000, when Spain won the Breeders Cup Distaff and paid $113.80. Spain was trained by D. Wayne Lukas and ridden to victory by Victor Espinoza. The 5th highest win price in Breeders Cup history came in 1984 when Lashkari won the Breeders Cup Turf race and paid $108.80. Lashkari was trained by Frenchmen Alain de Royer-Dupre and ridden to victory by jockey Yves Saint-Martin. The gray mare One Dreamer paid the 6th highest win price when she wired the 1994 Breeders Cup Distaff field and paid $96.20. One Dreamer was trained by Thomas Proctor and ridden to victory by Gary Stevens. Caressing paid $96.00 to win when she won the 2000 Breeders Cup Juvenile fillies race for trainer David Vance and jockey John Velazquez. The author is happy to say that he bet $5 across the board on Caressing and was very happy when she won. Horse racing can also make you feel terrible even when you win sometimes, though, as the author also boxed Caressing, Platinum Tiara, and She's a Devil Due in the exacta. Platinum Tiara ran second and he won the $940.60 exacta, which was great, but She's a Devil Due ran third to complete a $18,355.80 trifecta, and the author did not bet the trifecta. Shared Account paid $94.00 to win when she won the 2010 Filly & Mare Turf race for trainer Graham Motion and jockey Edgar Prado. Valponi paid $89.00 when he won the Breeders Cup Classic in 2002 for trainer Phil Johnson and jockey Jose Santos. Miss Alleged paid $86.20 when she won the 1991 Breeders Cup Turf race for French trainer Pascal Bary and jockey Eric Ligrix. Miss Alleged would have paid even more in the race but she was part of the field entry in 1991, and coupled with two other horses. As an uncoupled filly running against a field dominated by male horses, she would likely have been even bigger odds in the race than she was as part of the field.